It seems that never a week passes without some new finding about weight loss coming from researchers. Just as prolific are the new diet fads and food supplements promising amazing results with little effort. Dieticians caution that such diets are unsustainable; a claim supported by statistics showing that all the weight is regained when the diet ceases. Most of these diets ignore the role that drinking water has in promoting weight loss, even though the proof of its benefits have been accepted by medical professionals and dieticians for many years. What is now known is that the initial weight loss in the early stages of a diet is mostly water, so it is important to replenish that to avoid dehydration. Dehydration slows down the process of burning body fat. There are several other ways that water consumption and weight loss complement each other. The process of burning kilojoules requires an adequate water intake to function efficiently. It produces toxins that need to be flushed out of the body and water is the perfect vehicle to achieve this. After only a few weeks, dieters all report that they feel tired and lethargic. This makes it more difficult for them to exercise, which is an all-important part of the process of burning kilojoules. Dehydration is again the culprit, as it reduces blood volume which in turn reduces the supply of oxygen to the muscles, causing this tired and lethargic feeling. A ready supply of fresh spring water from Pacific Springs could solve these problems. Keeping up the supply of water to the muscles while exercising also assists them to contract, thereby assisting muscle tone, and it also lubricates the joints. This can reduce muscle soreness caused by exercise. Pacific Springs offers pure, fresh spring water delivery direct to the doorstep and the supply is automatically replenished every month. There is no need to carry heavy cartons of bottled water back from the supermarket every few days. 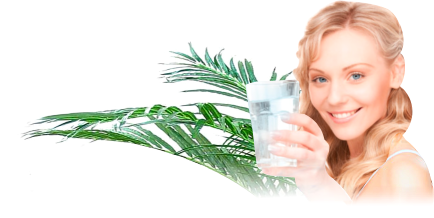 The clean, pure water is always available and ready to assist dieters to stay on target until they reach their ideal weight. How much water the average person should drink in a day was thought to be six to eight glasses, but it is now recognised that this can vary depending on the individual. What is important to remember is that feeling thirsty is a signal that the body is already dehydrated. Drinking smaller amounts frequently is preferable to a couple of large drinks a day. The easiest and most reliable way to keep a constant water supply at home is to arrange for regular spring water delivery service from Pacific Springs. All the details are on their website at www.pacificsprings.com.au. This entry was posted in Spring Water Delivery and tagged spring water, water delivery, weight loss by Teala. Bookmark the permalink.